Set in an outstanding spot in the beautiful Val di Noto, Masseria della Volpe lies between the Hyblaean Mountains and the Mediterranean sea. 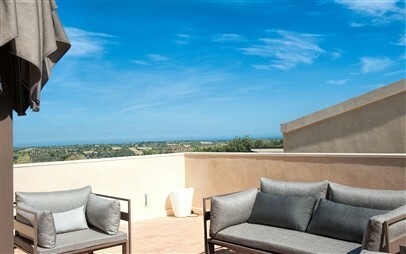 This country house is 20 minutes from Noto and about 30 minutes from Scicli and Ragusa. The closest airport is Catania, about 60 minutes away. The second closest is Comiso, 60-70 minutes away. 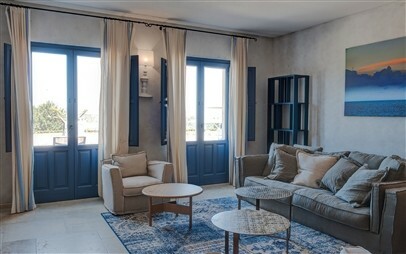 Nestled among the bright colours of the citrus groves and the green of the olive trees, the hotel building dates back to the end of the 19th century and has been given a new lease of life through the renovation of the spaces and materials of the past. The rural charm of the communal areas and guest rooms combine harmoniously with more modern and elegant features. The masseria has a wellness centre, restaurant and sports facilities. The masseria’s philosophy is eco-bio sustainability: the energy that supplies the building is entirely renewable thanks to its solar panels and the construction materials are mostly locally sourced. All the materials and cosmetic products used in the wellness centre, as well as the soaps and detergents used in the hotel, are organic and are produced from natural products. 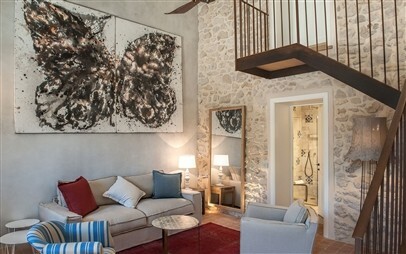 Carefully designed to offer maximum comfort, the rooms at Masseria della Volpe are very bright and have two types of pillows (hard and soft), free Wi-Fi connection, and some rooms have a terrace or balcony. 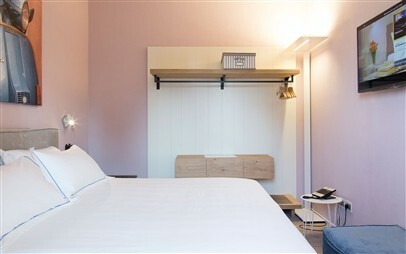 Comfort – 25 sq.m., all-comfort, bath robe, complimentary toiletries set. 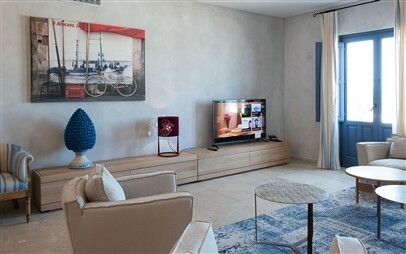 Superior – 40 sq.m., view of the baglio or with a shared private garden or balcony. 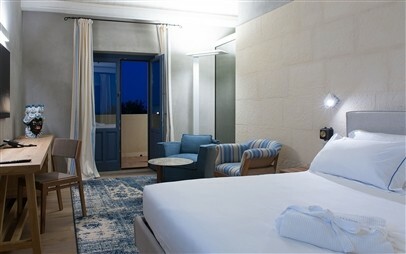 Junior Suite – 45 sq.m., two bathrooms, large roof terrace, outdoor relaxation area with table and chairs. 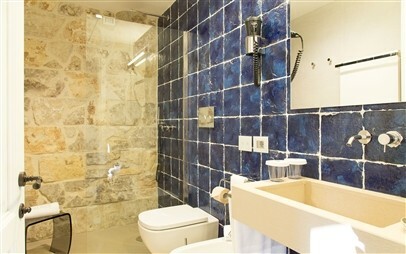 Suite – 60 sq.m., very bright, two bathrooms. 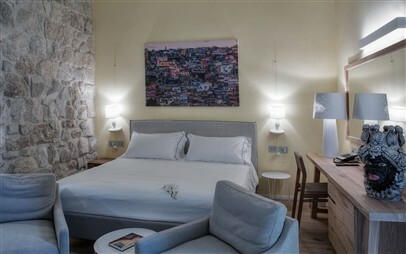 Luxury Suite – 80 sq.m., two bedrooms both with en-suite bathroom and a large living room with luxury furniture and artworks. One of the Luxury Suites also has a small private garden with a rose garden and fountain. Royal Family Suite – 120 sq.m., three large bedrooms all with en-suite bathroom, private roof terrace and second private terrace on the ground floor overlooking the pool. 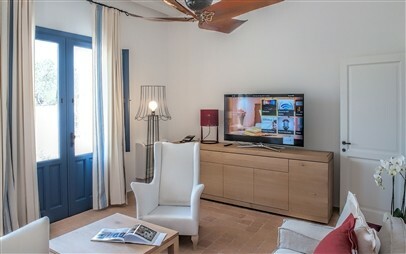 Apartment – 126 sq.m., living room with TV and ceiling fan, three bedrooms, two bathrooms, fully-equipped kitchen, washing machine, private garden and patio. No daily cleaning is included, linen change is every 7 days, the cost for extra cleaning is € 75, mandatory security deposit is € 500. The area around Masseria della Volpe has many long beaches and small coves. The closest to the hotel is Calamosche, then you come to Eloro and Vendicari, San Lorenzo and Cittadella and, eventually, Portopalo and Isola delle Correnti. An intimate and cosy area, designed to allow for maximum relaxation in a sophisticated and comfortable environment with capacity for up to ten people at a time. 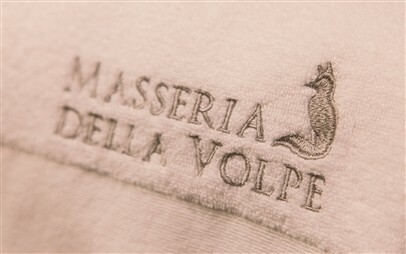 Masseria della Volpe’s wellness centre has a hydromassage tub, Hamman, water cascades and an ice fountain. Traditional Eastern and Western massages can be booked, as well as beauty treatments. Guests can rent mountain bikes to explore the local area, taking designated routes as well as heading off-road. Masseria della Volpe has its own synthetic grass tennis court with flood lighting, a beach volleyball court and a bocce court, and a small gym with Technogym equipment. Outside the hotel, activities on offer are: golf, horse-riding, diving, windsurfing and kitesurfing, sea fishing trips. Ristorante Codarossa has an indoor dining room as well as a panoramic terrace, open in summer and spring, with views over the pool and valley. The restaurant serves local and regional dishes, accompanied by a large selection of Italian and foreign wines. For breakfast, guests can choose from a large range of breads and home-made marmalades, traditional pastries and cakes, yoghurt and ricotta cheese, cured meats, cheeses and freshly-squeezed juice. Val di Noto offers numerous possibilities for activities and excursions in the surrounding areas. Masseria della Volpe has an outdoor pool with sunbeds and parasols, and a lounge terrace open from 9:00 am to 10:00 pm where guests can enjoy a drink and admire the view. A small heliport is available for guests’ use on the hotel’s grounds. Very bright room created using traditional Sicilian materials. Bedroom with individually-controlled air conditioning and sound system throughout. Two types of pillows (hard and soft), en-suite bathroom with shower and complimentary toiletries set. 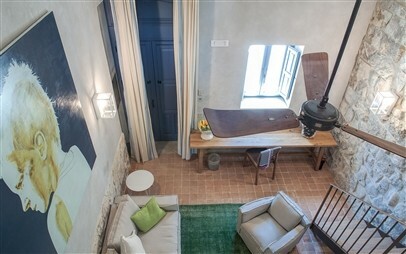 Very bright rooms created using traditional Sicilian materials. 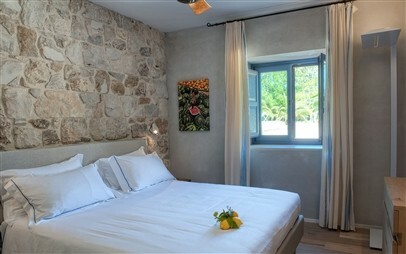 Bedrooms with individually-controlled air conditioning and sound system throughout. Two types of pillows (hard and soft), en-suite bathroom with shower and complimentary toiletries set. 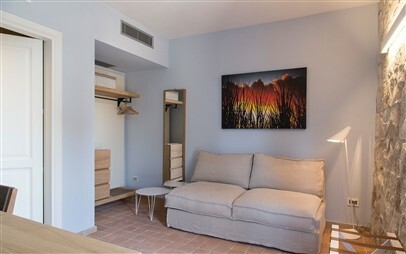 Rooms have either a view over the baglio or access to a private shared garden or a balcony. 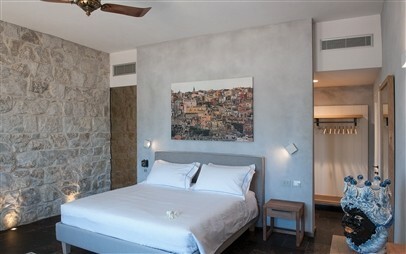 Very bright suites created using traditional Sicilian materials. These suites offer bedrooms with individually-controlled air conditioning and sound system throughout. 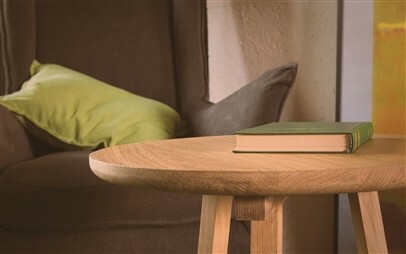 Two types of pillows (hard and soft), two en-suite bathrooms with shower and complimentary toiletries set. Large roof terrace, outdoor relaxation area with table and chairs. 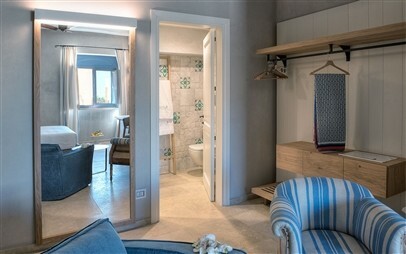 Very bright suites created using traditional Sicilian materials. These suites offer bedrooms with individually-controlled air conditioning and sound system throughout. 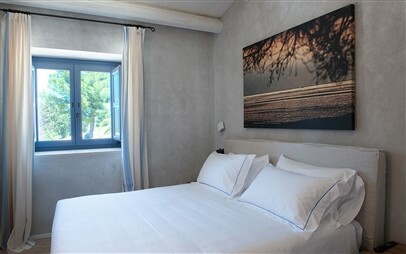 Two types of pillows (hard and soft), two en-suite bathrooms with shower and complimentary toiletries set. 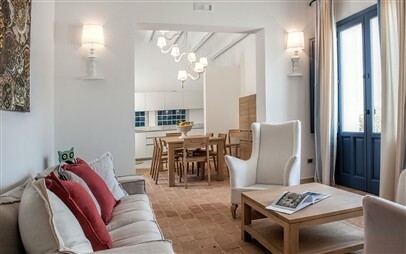 Very bright suites created using traditional Sicilian materials. 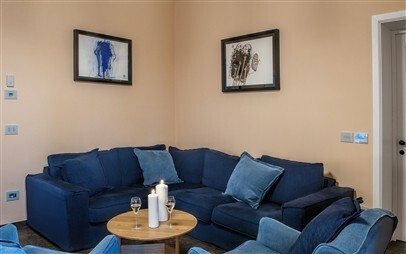 These suites offer two bedrooms with individually-controlled air conditioning and sound system throughout, as well as a living room with luxury furniture and artworks. Two types of pillows (hard and soft), two en-suite bathrooms with shower and complimentary toiletries set. One of the Luxury Suites also has a small private garden with a rose garden and fountain. 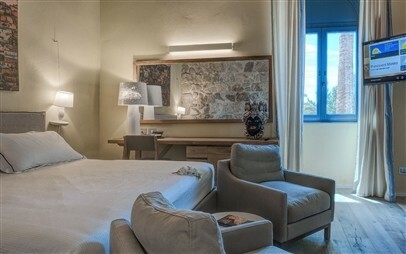 Very bright suites created using traditional Sicilian materials. 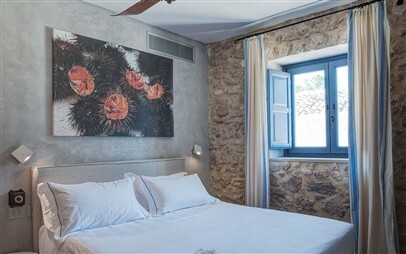 These suites offer three large bedrooms with en-suite bathroom (two on the ground floor and one on the upper floor) with individually-controlled air conditioning and sound system throughout. Two types of pillows (hard and soft). The bathrooms have a shower and complimentary toiletries set. 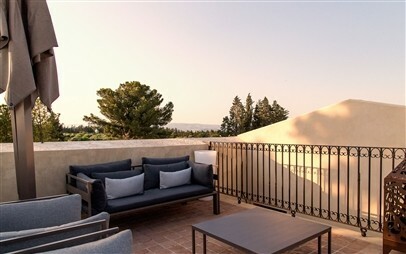 Private roof terrace and second private terrace on the ground floor overlooking the pool. Very bright rooms created using traditional Sicilian materials. 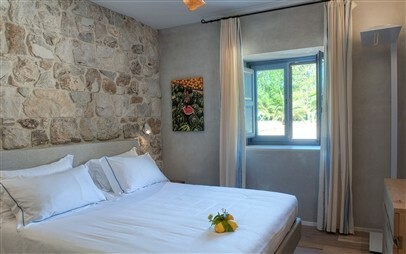 Bedrooms with individually-controlled air conditioning and sound system throughout. Two types of pillows (hard and soft), en-suite bathroom with shower and complimentary toiletries set. The rooms have a nice view over the baglio. Very bright apartment created using traditional Sicilian materials. Living room with TV and ceiling fan, three large bedrooms with individually-controlled air conditioning, sound system throughout. Two types of pillows (hard and soft). 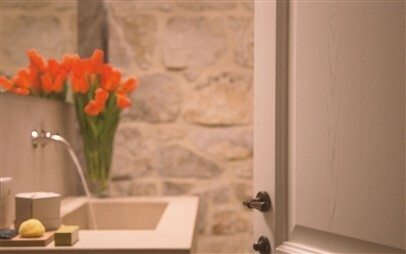 Two bathrooms with shower and complimentary toiletries set. 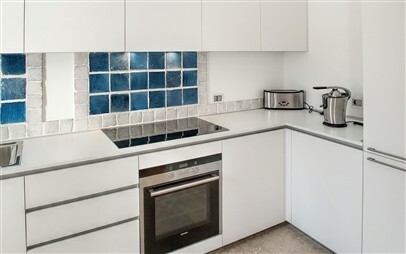 Equipped kitchen, washing machine, private garden and patio with tables, chairs and couches. No daily cleaning is included, linen change is every 7 days, the cost for extra cleaning is € 75, mandatory security deposit is € 500. No daily cleaning is included, linen change is every 7 days, the cost for extra cleaning is € 75, mandatory security deposit is € 500.